Did know that in the UK, only 1% of 5-10 year-olds and just over 3% of 11-15 year-olds cycle school. This is a shocking figure, however the UK government is keen to see this percentage drastically increase. The Home Office states on their website that over the next 20 to 30 years, the government aims to increase cycling and walking by making it more “convenient, attractive and realistic” especially to those at work and school. According to research carried out by Sustrans Safe Routes for Schools, secure cycle parking is the most effective way to encourage pupils to cycle to school. Sustrans conducted a survey on x3,000 school children aged between 9 and 14 years of age about cycling to school. The results of this survey showed that 54% of the pupils and 43% of their parents would like to see improved cycle storage facilities at their schools and that secure cycle storage was the top requirement for children who already cycled or were considering cycling to school. 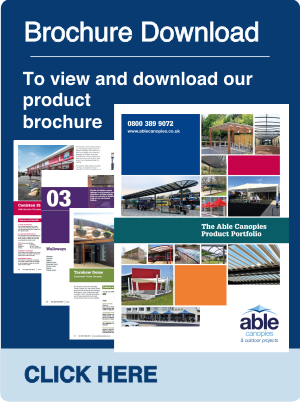 Design: At Able Canopies we design, manufacture and install all of our cycle shelters & compounds and work with professional architects to design shelters which meet your needs. Security: Our range of shelters and compounds are supplied with Sheffield cycle racks and can be manufactured to be BREEAM complaint. Available Parking Facilities: The type of cycle parking you purchase will depend on your budget. For schools, you may be eligible for funding via school travel plans. 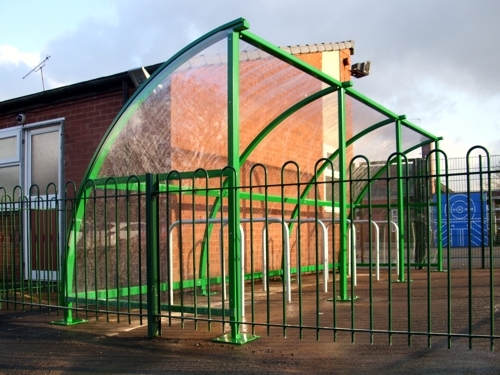 Able Canopies offer a wide range of cycle shelters as these are the most popular type of cycle parking. 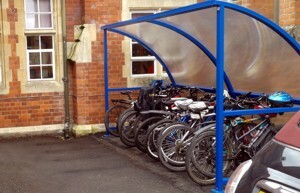 The Easydale cycle shelter is our most cost effective shelter and is proving to be very popular within schools & colleges. 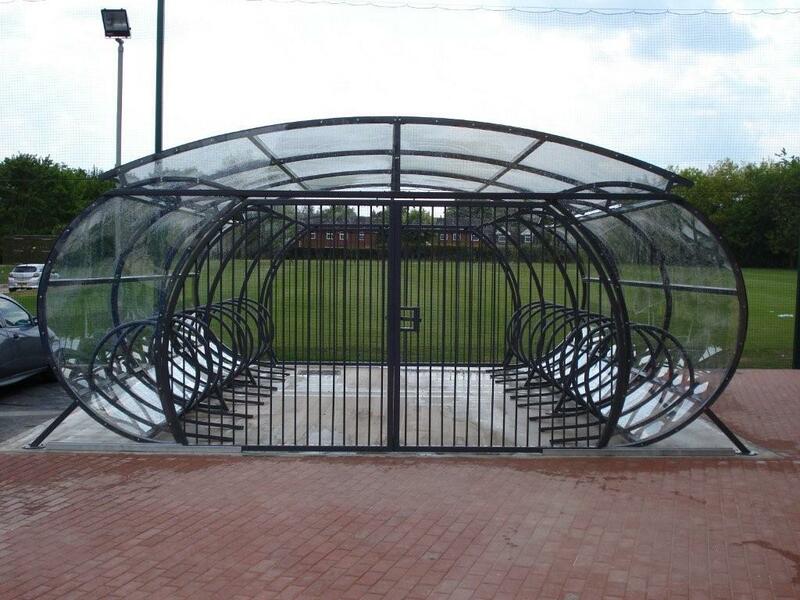 Cycle Shelters provide protection from the elements as well as high security as the bike racks are either bolted to the ground or cemented into the ground with concrete – this allows users to lock both the frame and the wheel. Cycle compounds are the most secure shelters available on the market today. These offer excellent security as they are supplied with secure lockable gates. At a school, the gates can be opened in the morning and then opened again at the end of the day. Modular: All of Able Canopies shelters and compounds are manufactured to your specifications, allowing you to offer as much storage as is necessary on your premises. Our range of shelters can also be used as waiting shelters which are supplied with integrated benches and secure buggy shelters which are supplied with buggy bars to secure the buggies too with a padlock or similar locking device. You can choose to have a shelter that offers both cycle storage and a sheltered seating area, for example, one half of the shelter would have cycle racks and the other would have benches. Planning Service: Generally planning permission is not required for shelters but for larger areas it may well be. 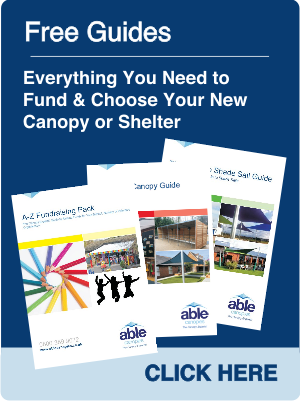 Able Canopies offer a planning service and can guide you through this process. Please click here for your free planning guide and to find out more. 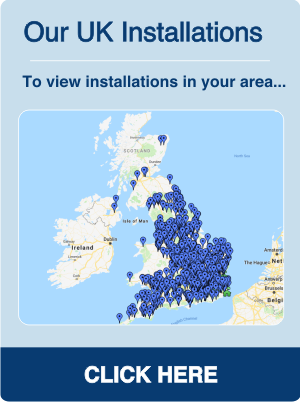 Location and Installation: During your free survey, Able Canopies CRB checked surveyors will visit your site and provide you with the best cycle storage solutions which are within your budget and advise you on the best location for it if you are unsure. Extras: Because we manufacture and design all our shelters we can provide additional extras such as helmet lockers within the shelters. If you would like any additional extras for your shelter please let us know and we arrange a free quotation to be sent to you.